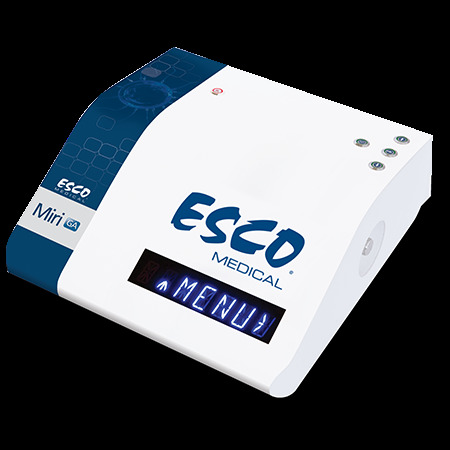 DESCRIPTION: MIRI® GA is a table-top analyser designed and manufactured in EU, for external validation of temperature, gas concentration, gas flow and gas pressure for MIRI® incubators. 1. Continually monitor and validate up to 6 incubators simultaneously. 2. Monitor and validate up to 6 x PT1000 sensors. 3. Data logging software documents parameters and offers the option to send e-mail for triggered alarms with details of the event.